Create a one-page template that can be easily duplicated for employer-sponsored groups. Design in a way that’s easy for employees to learn about plan options, the importance of protecting their identity, and the features/services available. 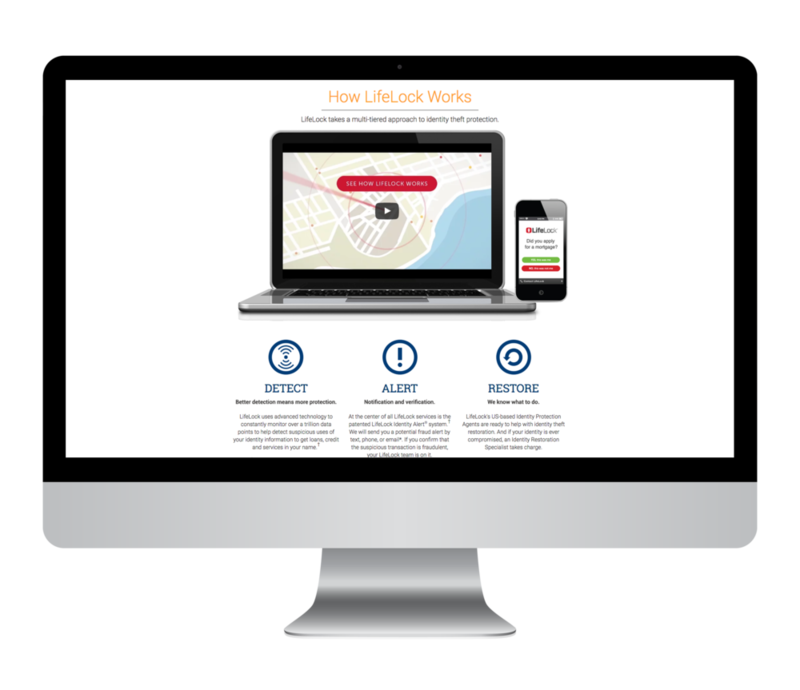 Organized all product content to address the importance of protecting your identity, the difference between each plan level, quick access to pricing information, and the services provided by LifeLock. Color palette and branding guidelines provided by the client. Primary colors and large images for clean, modern look and to blend with existing web presence. Final template could be easily duplicated and customized for the client with appropriate logo and pricing information.